Consumers’ credit card borrowing dropped nearly $3 billion from August to September according to the Federal Reserve — this is the third drop in four months. However, the drop in credit card borrowing does not translate into consumers incurring less debt. The fact that consumers are spending on debit cards rather than credit is interesting. During the “credit crunch” many consumers with less than perfect credit experienced denial of credit. Some consumers with great credit experienced their credit card company inexplicably decreasing and even closing credit card limits. Debit cards are convenient but they are also directly linked to your bank account. A lost or stolen debit card could mean your funds are at risk. Even though debit cards offer limited liability for loss, the fact that funds can be instantly taken from your account is the real problem. One returned check can turn into an avalanche of returned items. If credit cards are lost or stolen, a simple phone call to the credit card company is all it takes to shut down the further transactions; and, credit cards offer zero liability protections. A zero liability policy means you won’t be held responsible for fraudulent charges made with your card or account information. A credit card can help you stay on top of expenses. Keep track of your monthly expenses simply online. Save your receipts and check them against your monthly statement. Errors or unusual activity can be easily spotted. Consumers may find record-keeping and budgeting more convenient. One of the main advantages of having a credit card is that it can have a positive effect on your credit score assuming you pay on time, never exceed your limit and keep your credit balance low. Regular use of a credit card along with on-time payments helps you build a solid credit history. It shows lenders how well you manage credit and debt. Consumers with poor credit can rebuild credit by using credit cards. It may seem conflicting, but a credit card can be used to rebuild poor credit if managed correctly. If you have nothing but poor credit reporting on your credit reports, you need something positive reporting to counteract the negative information. Credit cards can help rebuild credit history as long as good habits are practiced. Good habits include making monthly payments and not charging over 30% of the available credit limit. Consumers with really poor credit may have to get a secured credit card or an easy approval credit card to rebuild credit history. Get 5% cash back on gas, 2% back on groceries and 1% on other purchases. No annual fee and zero liability for unauthorized transactions. *Click “Apply” to see rates, rewards and other information. There is no limit on how much you can earn with the USAA American Express® Cards. Most major credit cards can be used anywhere in the U.S. and around the world. 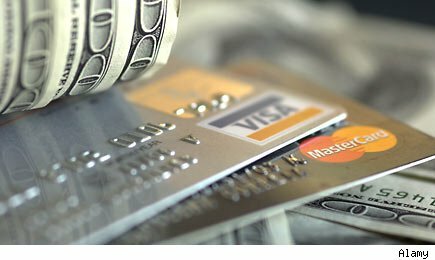 Avoid the confusion of converting U.S. dollars into foreign currency when traveling internationally as credit card companies perform the conversion for you. A major benefit of using credit cards when traveling is that some offer trip cancellation and delay insurance. You may even have insurance for lost luggage or travel and emergency assistance. As you can see there are some invaluable benefits to credit cards. As long as you pick the right card for your needs, credit cards can enhance your financial outlook.